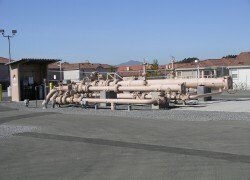 Construction of 740 lineal feet of new 12-inch diameter natural gas line to reconnect the existing natural gas metering facilities at Collier Junction to the existing Northern California Natural Gas Line. Installation of the necessary pressure regulating facilities at Collier Junction to meet USDOT requirements (49 CFR 192). Installation of the electrical and control equipment necessary for to monitor the Collier Junction natural gas facilities from their Houston Control Center. Installation of a motor operated valve (MOV) at Collier Junction to enable Houston Control center to be able to isolate the line from the pressure source in the event of an emergency. Installation of piping modifications at the A/B Block Valve site to flow gas from StanPac back to San Pablo (Hilltop) Station via the NCGL 10-inch diameter pipeline. Removal of piping at the A/B Block Valve Site to disconnect the system from the two parallel 12-inch diameter A and B lines. 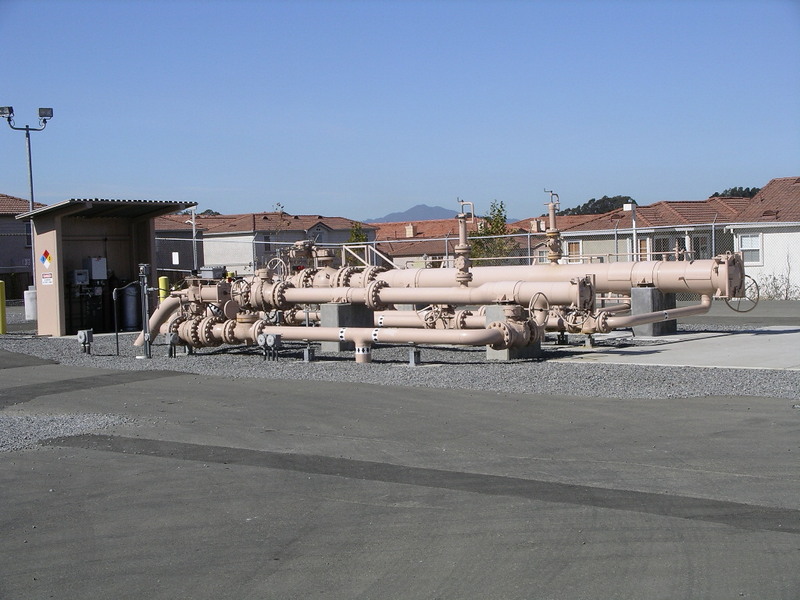 Installation of piping and valves to convert the TRPP between San Pablo (Hilltop) and the Richmond Refinery to natural gas service. Installation of piping, valves, and a pig receiver at San Pablo (Hilltop) to reverse the flow of the NCGL between the A/B block valve and San Pablo (Hilltop). Installation of a San Pablo (Hilltop) pressure regulation station for the anticipated flows and pressures. These facilities protect downstream piping from potential over-pressure. Installation of metering and quality measurement facilities at San Pablo (Hilltop).